We are sure you have been reading our WDC Insights blog and keeping an eye on our publications throughout 2016. Take our Christmas Quiz (10 questions) and see just how well you can score on regional development and Western Region issues. County incomes and regional GDP statistics are released by the CSO annually. Disposable indicates the level of material wealth of households residing in different regions and is a better indicator of material well-being of citizens than GDP per person. What county had the lowest household disposable income per person in 2013 and 2014? Regional and local roads are the core of regional and rural transport. They are crucial to economic activity, and the importance of commuting to work across counties and to towns and cities is well recognised yet the regional and local roads grant allocation for 2016 was €298m, less than half that for 2009. How many kilometres of regional and local roads are there in Ireland? The jobs growth that is occurring in the Western Region in recent years has been strongly driven by self-employment. Between 2012 and 2015 the number of self-employed in the Western Region grew by significantly, and by much more than in the rest of the state. By how much did it grow? It is interesting to look birth and death rates by county and the significant differences among them. There were 65,909 births in the state in 2015 of which 16% (10,527) were to mothers resident in the Western Region. The birth rate (Births per year per 1,000 population) nationally was 14.1 with the highest rate (17.4) in Fingal. The lowest birth rate was in both counties Roscommon and Kerry. What was it? In 2014 there were 40,797 active enterprises registered in the seven county Western Region. This was significantly lower than the number registered in 2008. In contrast, in the rest of the state the number in 2014 was just 1% below the 2008 figure. How many more businesses were registered in the Western Region in 2008 than in 2014? The Local Property Tax (LPT) is an annual self-assessed tax charged on the market value of all residential properties in the State. It came into effect in 2013 and is being administered by Revenue. The total number of properties returned for payment of the LPT in the Western Region was 354,400 in 2015 with 1.86 m properties returned for the state. In the state €427m in Local Property Tax was collected nationally in 2015. How much was collected in the Western Region ? What proportion of premises covered by the National Broadband Plan area are in the Western Region? Despite the importance of agriculture for employment in the region it contributed only a small amount to GVA in the West and Border regions. However, although only a small proportion of GVA is from Agriculture, Forestry and Fishing in these regions, they both make a substantial contribution to national Agriculture, Forestry and Fishing GVA. What percentage share of national GVA from Agriculture, Forestry and Fishing is produced by the Border Region? Preliminary results for Census 2016 show that the population grew in most Irish counties, but it fell in some counties of the Western Region. In how many counties of the Western Region did it fall? In 2015 Roscommon had the fifth highest level of new car registrations in the country. This is surprising for such a small county. What is the reason? For more on this see the post here. Read more about the issue of rural broadband here and here. Read more about the regional GVA from different sectors and the contribution of regions to national output here. The population fell in Donegal, Sligo and Mayo. For more on the preliminary results on census 2016 for the Western Region see this post and this post and this post which focuses on housing and vacancy rates or read our WDC Insights and reports available here https://www.wdc.ie/publications/reports-and-papers/ . There is a Car Hire company office operating in Roscommon which taxes all new vehicles for the Car Hire Company (i.e. all the offices in Ireland) for the first time in the County – the figures in the previous post were based on the first taxing of the vehicle and not the registration. This company taxed 2,236 vehicles out of the 4,877 vehicles in 2015. That is nearly 45% of the new private cars licensed for the first time in the county. For more on new car registrations and the level in Co. Roscommon see this post and this one. 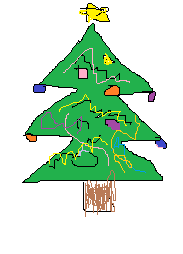 https://www.wdc.ie/wp-content/uploads/blog-christmas-tree.png 254 183 WDC https://www.wdc.ie/wp-content/uploads/wdc-567.png WDC2016-12-21 12:39:532016-12-21 12:39:53WDC Insights Christmas Quiz Time Again!